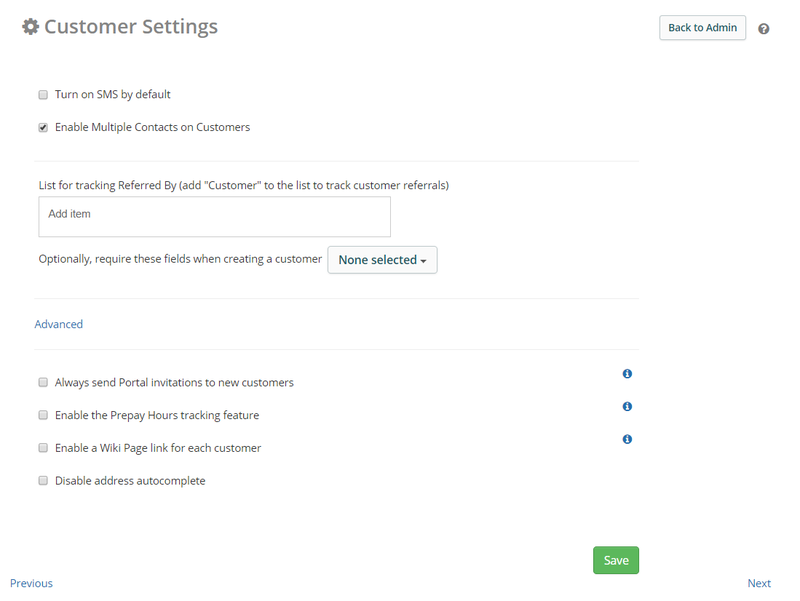 Enable a Wiki Page link for each customer: This enables the wiki feature for all customers. You can read more about that in this article. * Note: If you have SMS enabled by default, and do not require either a phone number or a mobile number, mobile number will appear automatically in the new customer screen.